PowPak wireless fixture controls makes it easier to add individual fixture control to buildings in just minutes without the need for additional wiring or any sophisticated tools or software for programming. The latest addition to the Lutron Energi TriPak® family of control systems, PowPak wireless fixture control allows users to transform any fixture into an intelligent and energy-saving luminaire by providing it with wireless dimming, occupancy sensing and daylight harvesting capabilities that work right out of the box. By providing a fixture-by-fixture control solution and eliminating the control wiring between fixtures, it also dramatically reduces the design challenges, installation costs and risk associated with adding energy-saving lighting controls to existing buildings. Ideal for open offices and similar environments, PowPak wireless fixture control features occupancy detection and daylight harvesting at the individual fixture level — providing users with important energy savings. 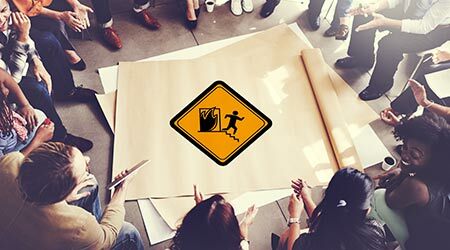 Users also gain the ability to easily add Pico® wireless personal controls and group fixtures using a green laser, without the need to even step on a ladder. Lighting control system retrofits offer well-documented energy-saving potential, but estimating the cost of a lighting control installation can be tricky for contractors due to the wiring between fixtures and unexpected issues in the ceilings of older buildings. With PowPak wireless fixture control, electrical contractors can quickly and easily design and estimate jobs by simply counting the number of fixtures. PowPak eliminates the need to run new wiring between fixtures, and in doing so, takes the hassle and risk out of the quotation and installation process. 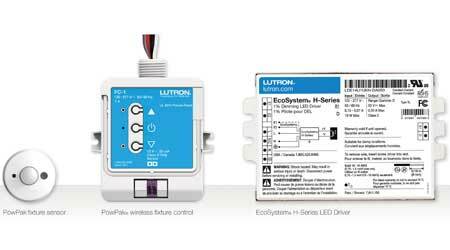 PowPak wireless fixture control works with any Lutron EcoSystem® fluorescent ballast or LED driver, as well as basic 0-10 volt versions, and flexibly adapts to shifting job needs. Installation and setup is extremely easy — and doesn’t require the use of a laptop or complex programming methods. Users gain individual fixture control or area control in just minutes. The PowPak wireless fixture control works with Lutron’s Radio Powr SavrTM wireless occupancy sensors and Pico wireless control systems to provide proven and reliable solutions that virtually eliminate callbacks. “Our Energi TriPak system already had wireless area lighting controls and sensors, which provided ESCOs, electrical contractors and their customers with a fast return on investment for many spaces,” says Andy Wakefield, director of building solutions and services at Lutron Electronics.